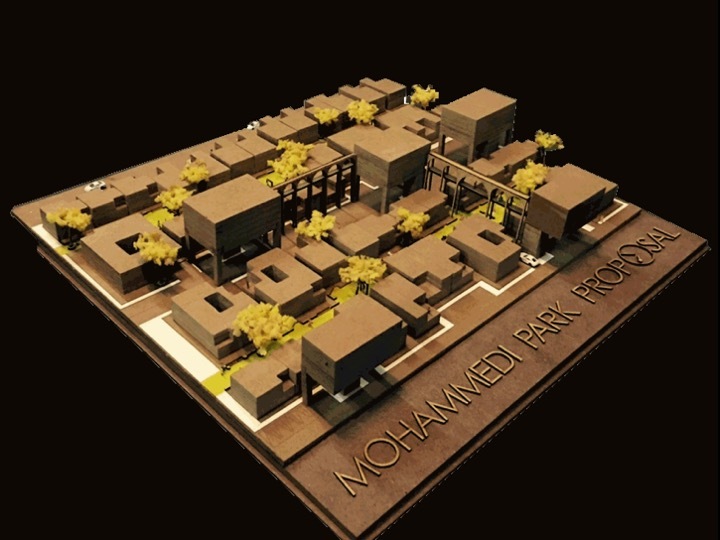 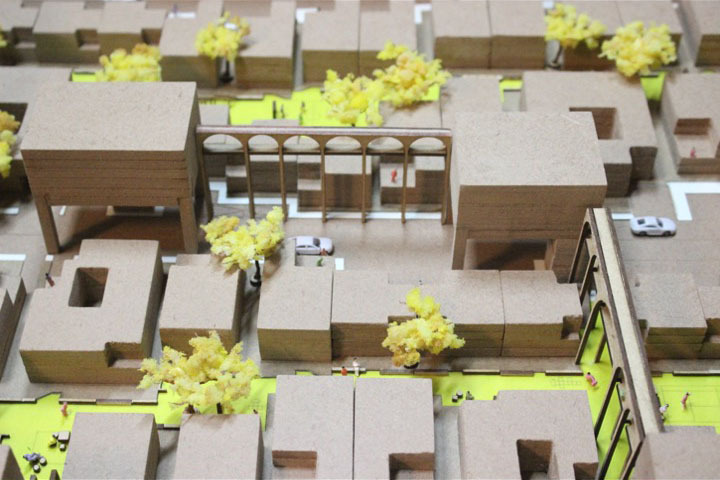 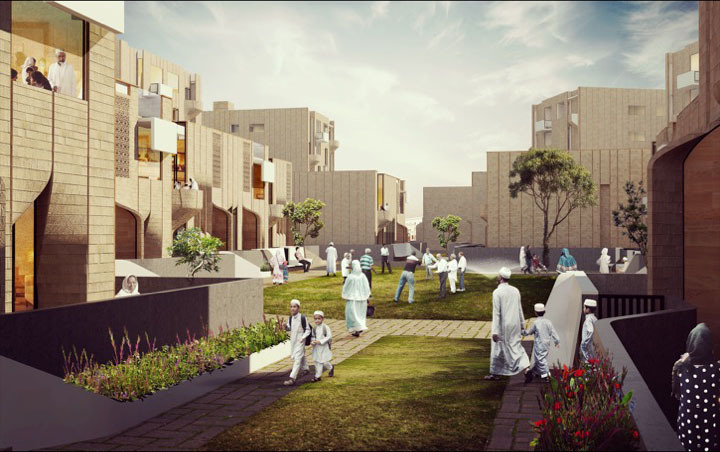 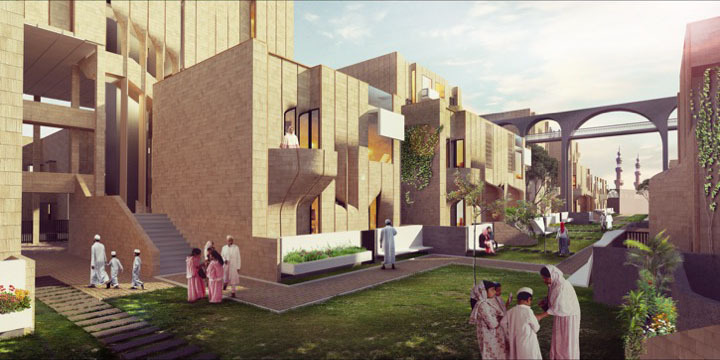 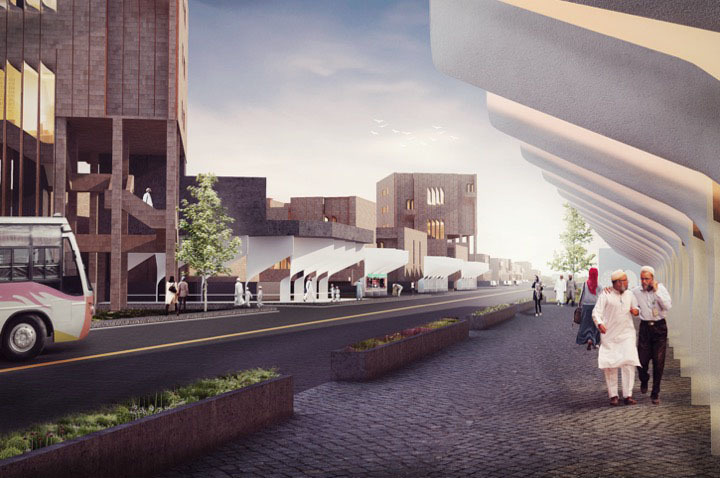 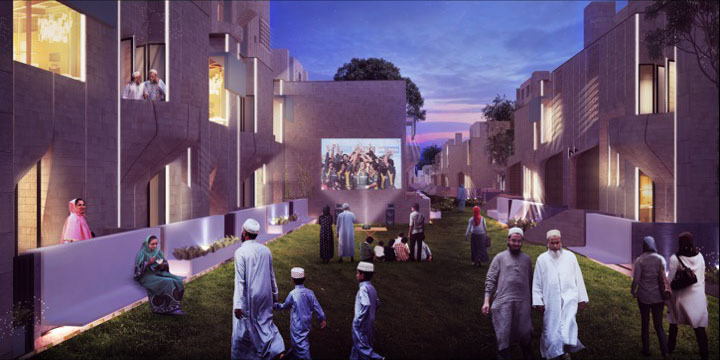 In this competition, the plots under consideration were separated by a thoroughfare, and the Mosques were to be the anchor points of this community development. 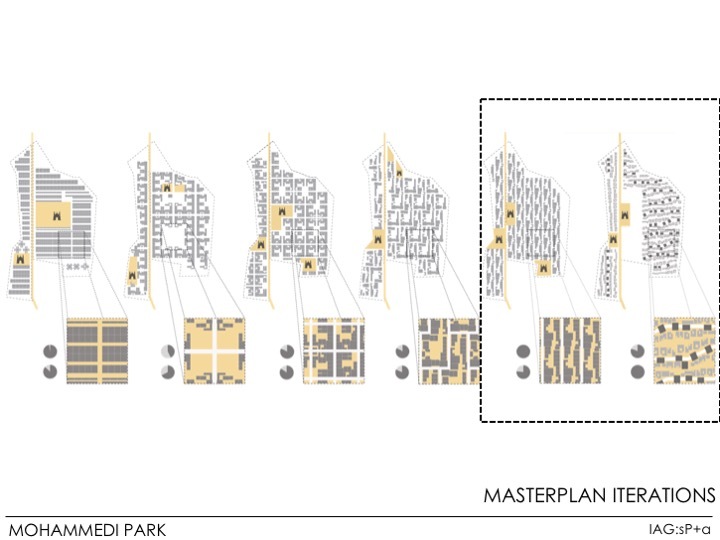 After various iterations of grid planning, street development, row house development, etc., we settled upon a mixed cluster development plan. 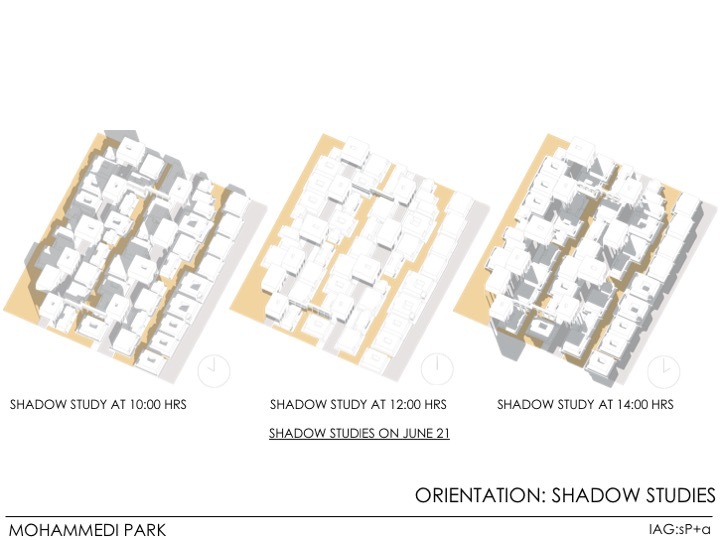 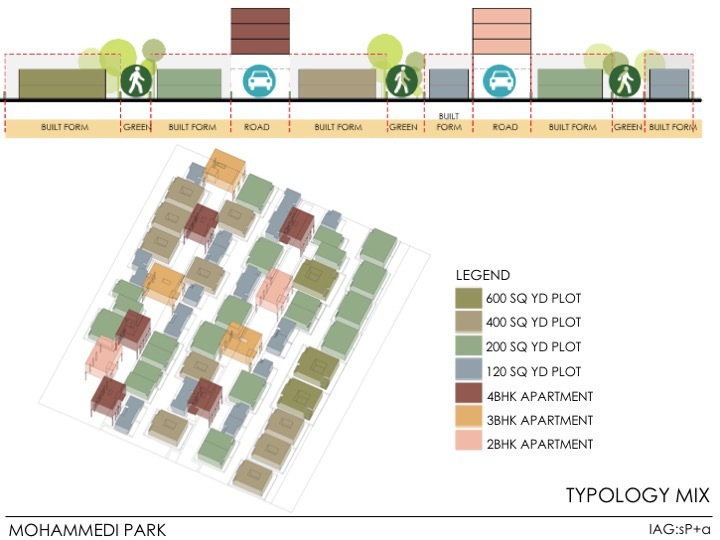 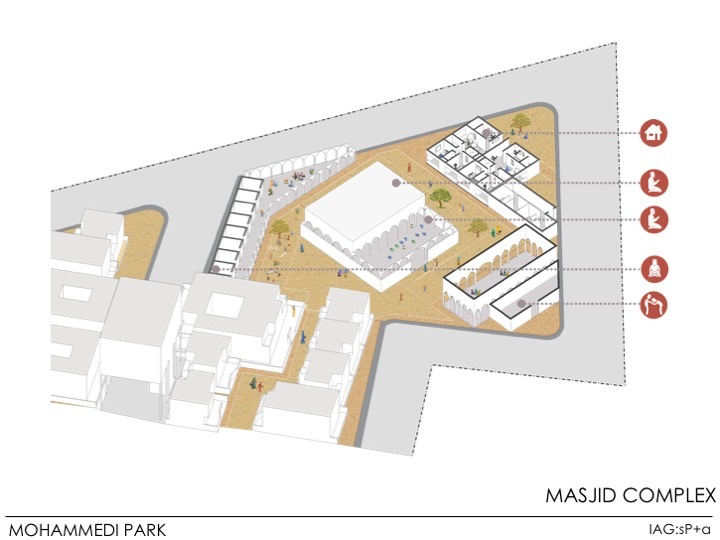 Climatically, shaded pathways provided maximum benefit to the community as they went through their daily activities, to the mosque and back many times a day and thus became the cornerstone of the mixed cluster development plan. 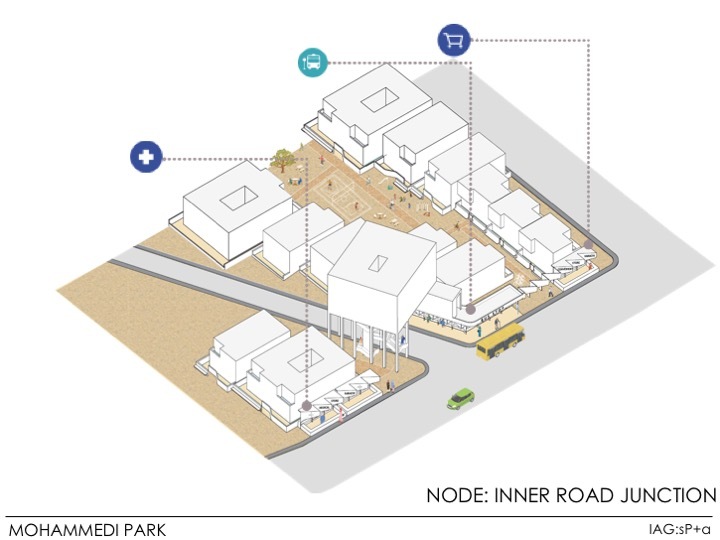 The peripheral main road or highways led off onto vehicular accesses which were situated at the rear of each plot, and were mostly shaded by an apartment typology that straddled the road. 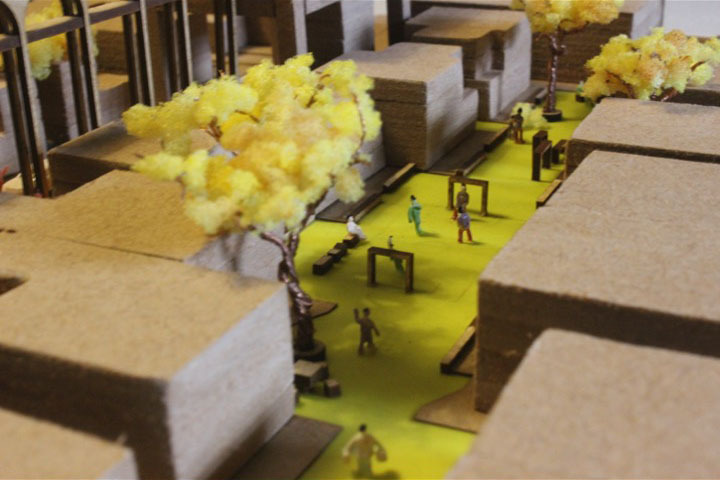 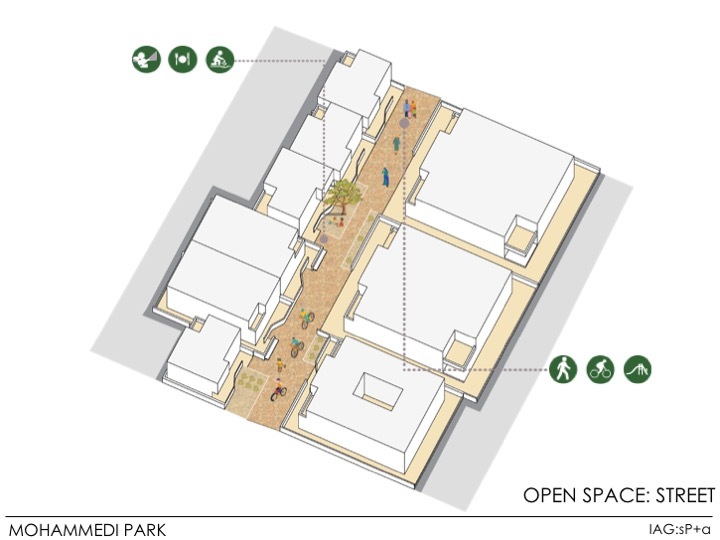 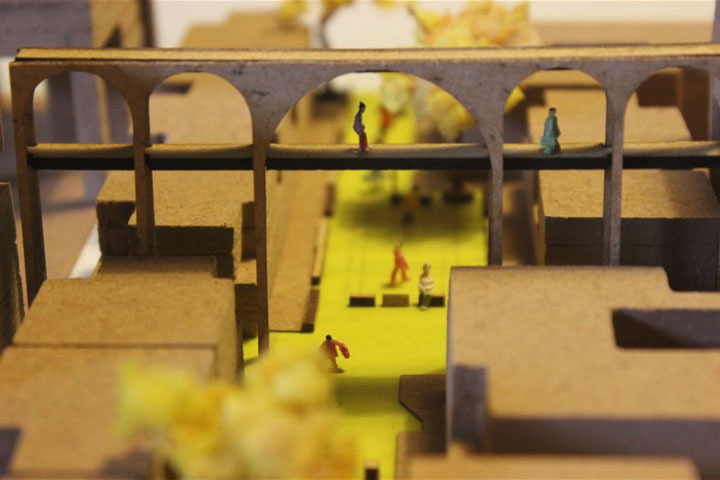 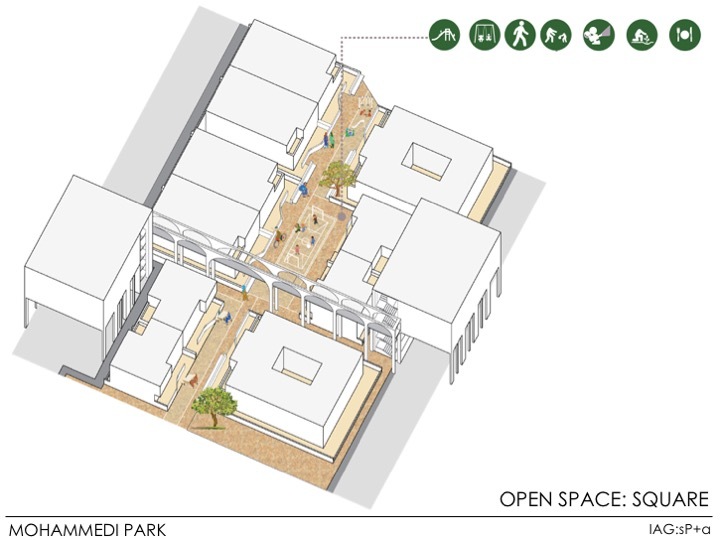 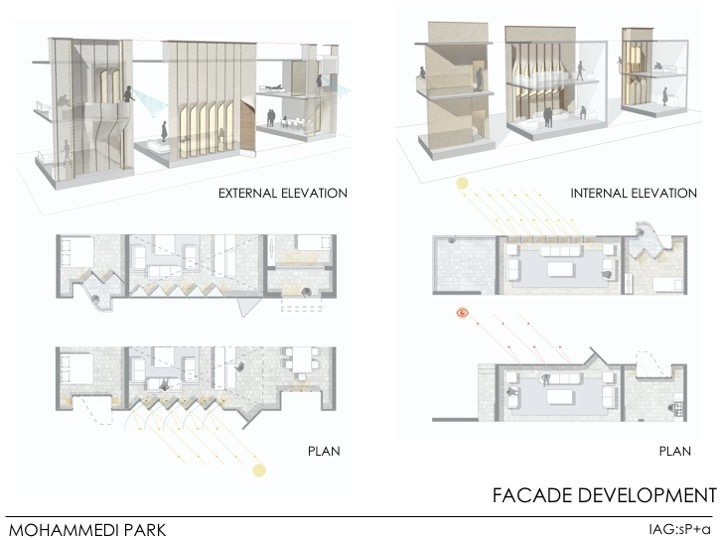 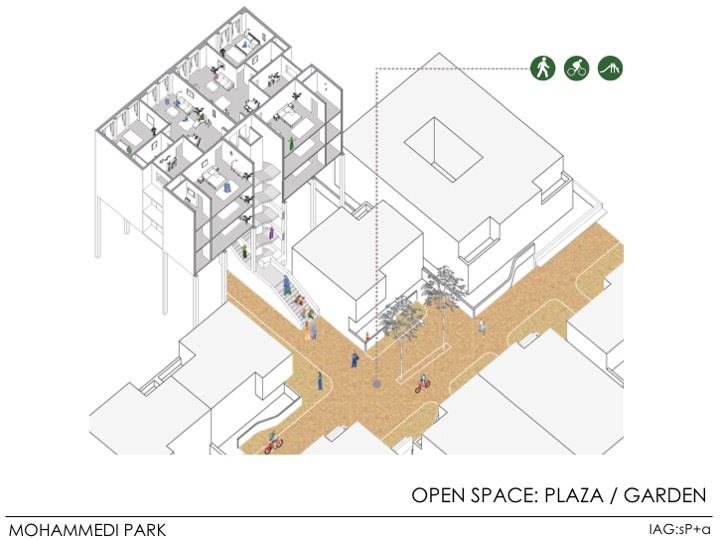 Other accesses were the pedestrian-only streets and green pathways, punctuated by the square and the plaza which were scaled up open areas for community interaction and gathering. 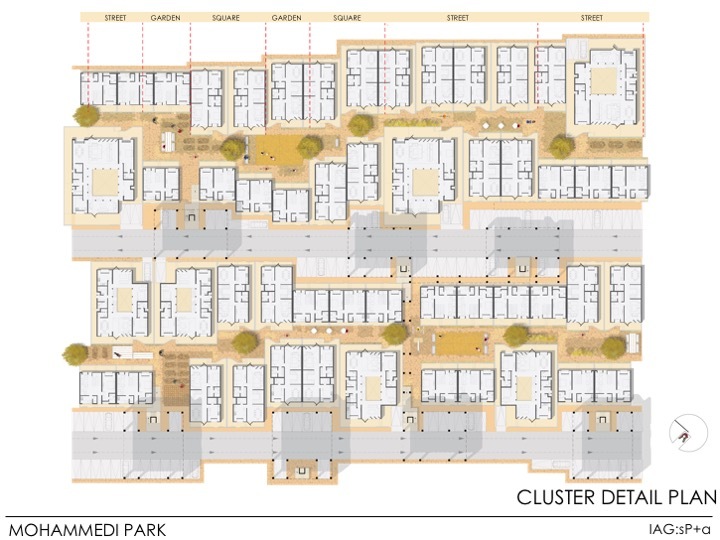 The community facilities and amenities were organised strategically on the junction of inner roads so they would serve clusters well. 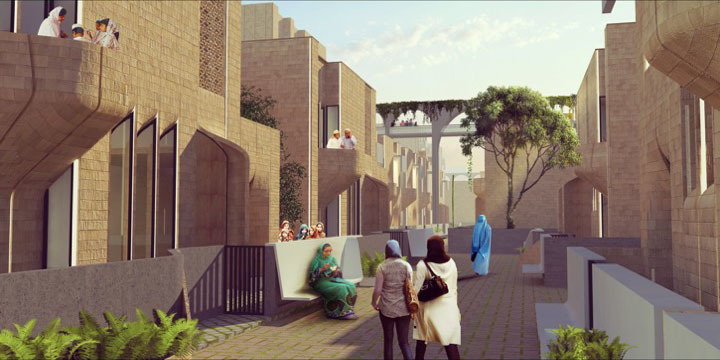 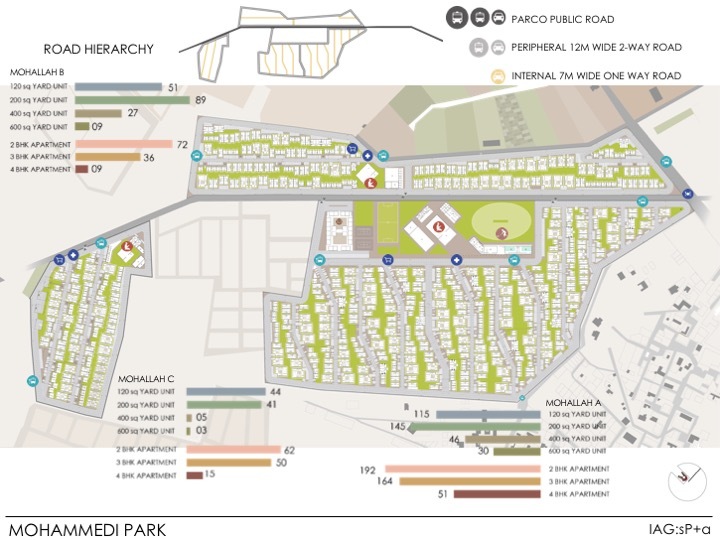 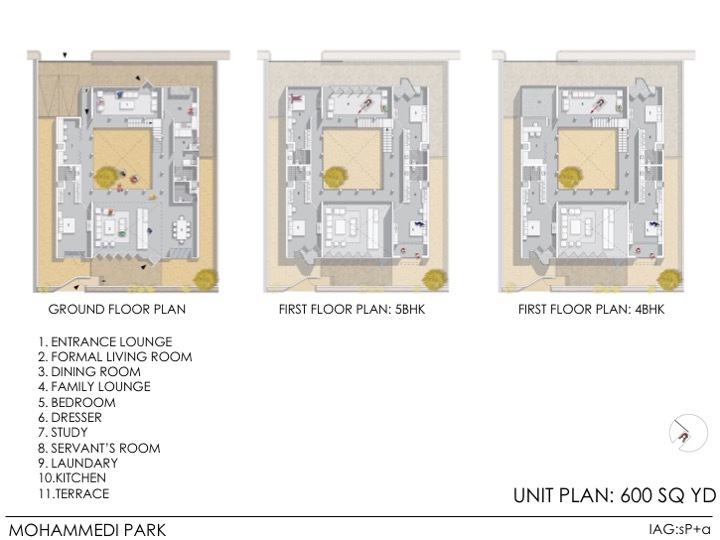 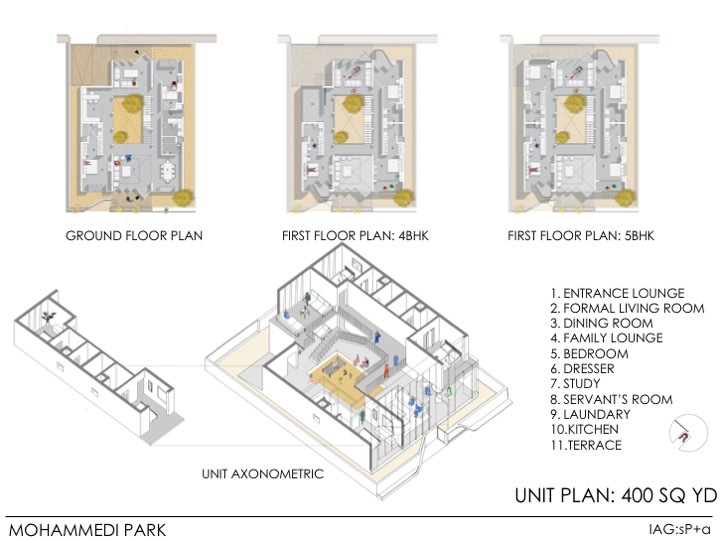 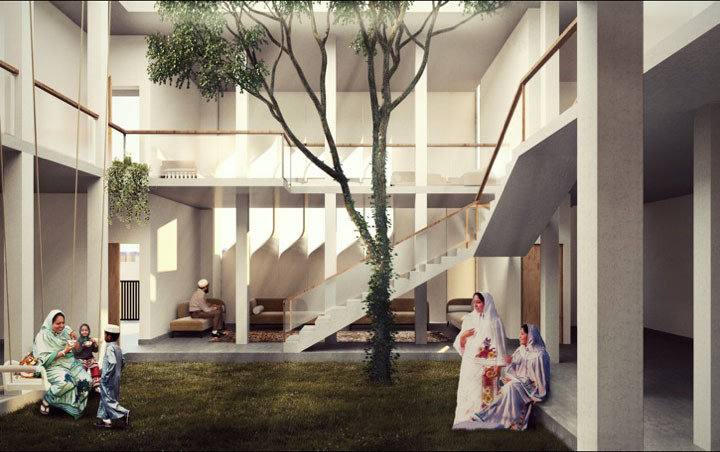 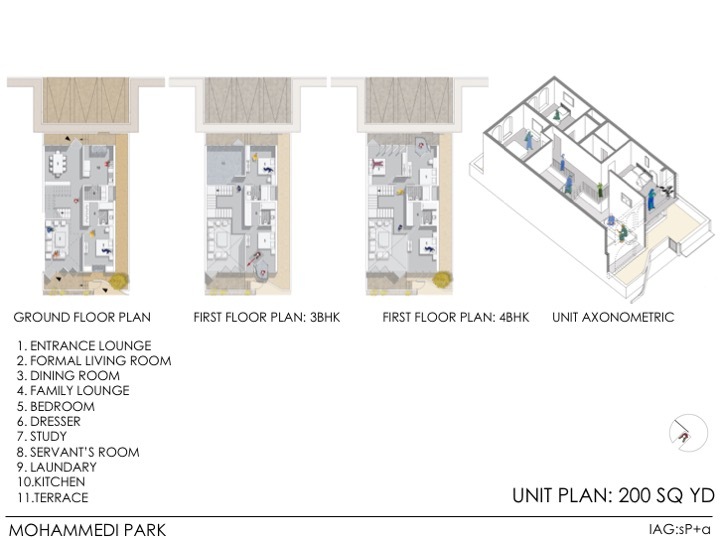 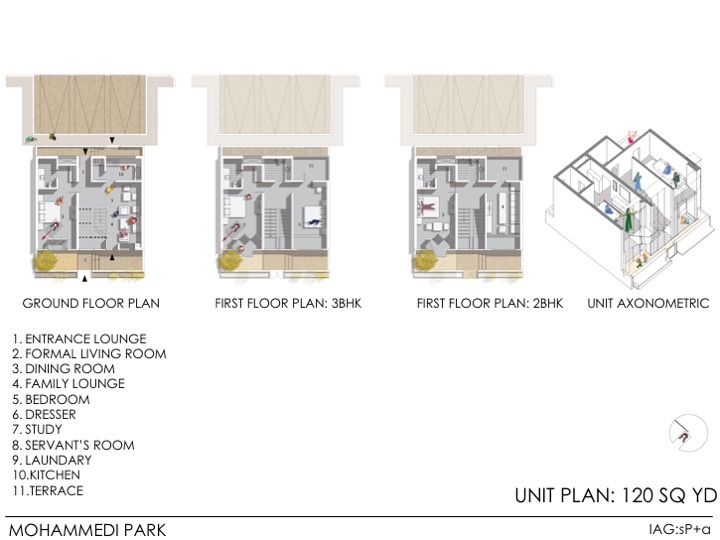 The Bohri community is known for their community-centric approach, and this was emulated in all aspects of this design – from the street level to the amenities. 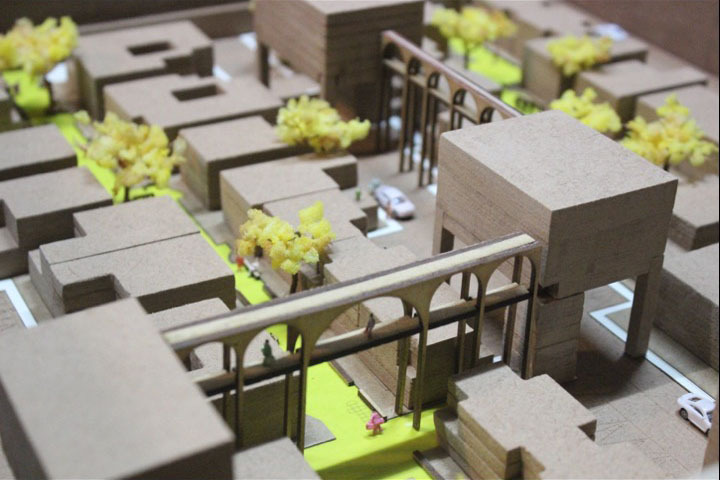 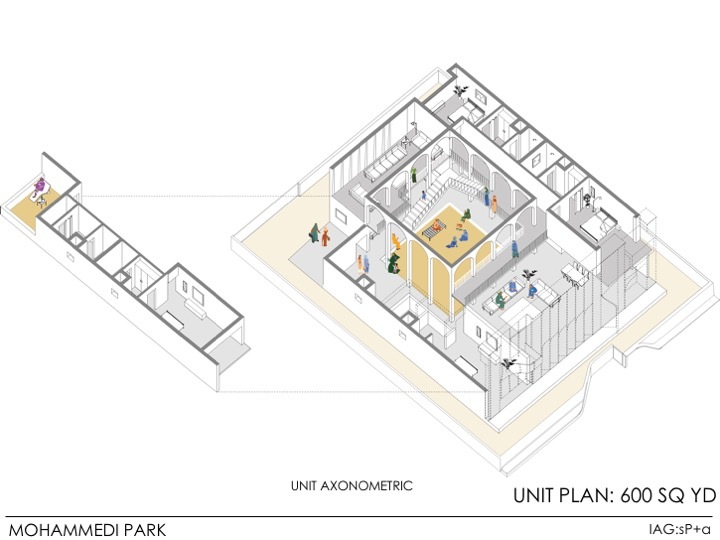 The housing typology was a kit of parts with its internal courtyard irrespective of the house size; the main programs were aligned around this core, depending on how the rooms needed to be oriented based on their religious beliefs. 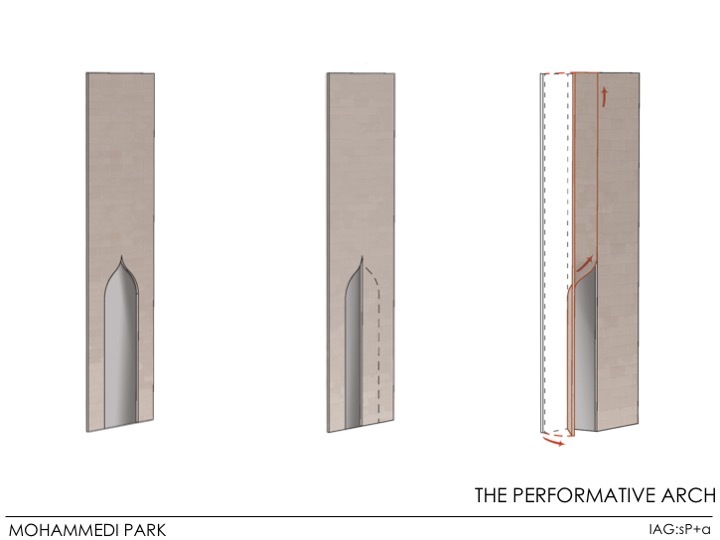 The typical narrow pointed arch was made performative, with the face peeling up to form the base of a balcony in some places, and as a privacy screen in others. 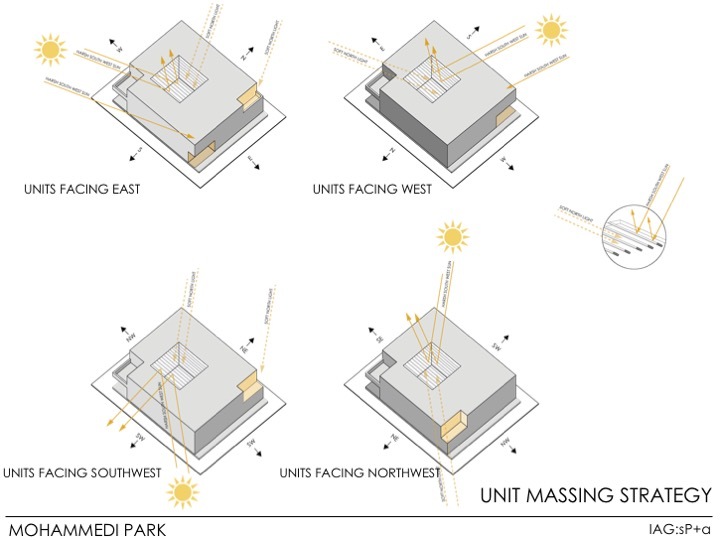 The language of the architecture was made identifiable by this module, which found its way in at many different scales. 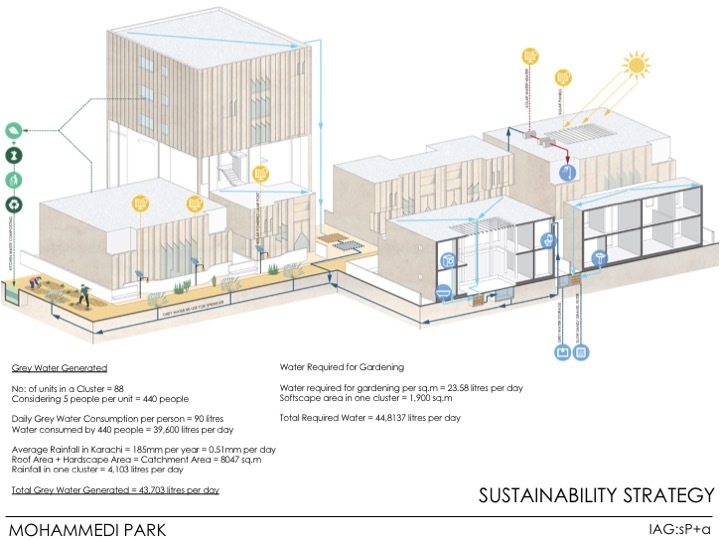 The sustainability strategy ensured enough grey water recycling to maintain the proposed green cover, which is not usually seen in this weather, but is beneficial nonetheless. 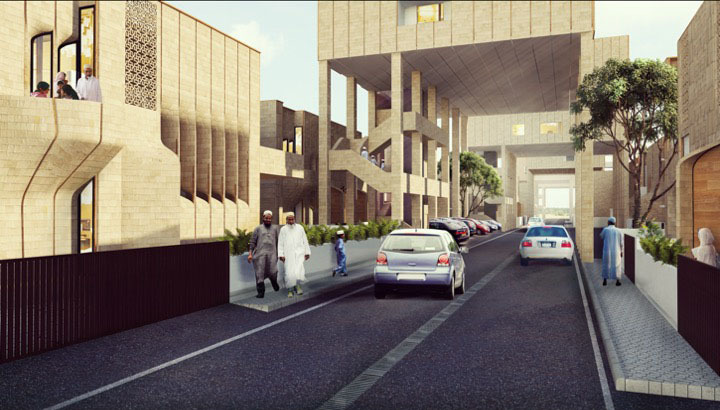 In all, the scheme proposed was responsive to the climate and the community equally. 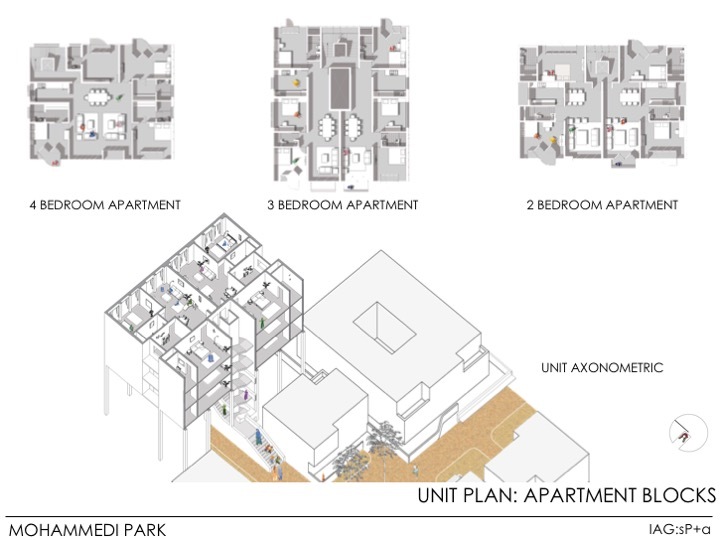 Drawings: – Click on each image to zoom, or run a slide show.